Following weeks of rumors and media reports about her intentions, Stone Mountain, Georgia resident Cynthia McKinney, a six term member of the U.S. Congress and the 2008 Green Party nominee for President of the United States has filed an FEC-2 "Statement of Candidacy." In this filing she declares her intention to seek the nomination of the Georgia Green Party for Congress of the United States. "Greens welcome Ms. McKinney's entry into the race," said Adam Shapiro, chair of the Georgia Green Party. "We hope we can work together to restore to the Fourth Congressional District leadership committed to expeditiously ending this nation's illegal and immoral wars." 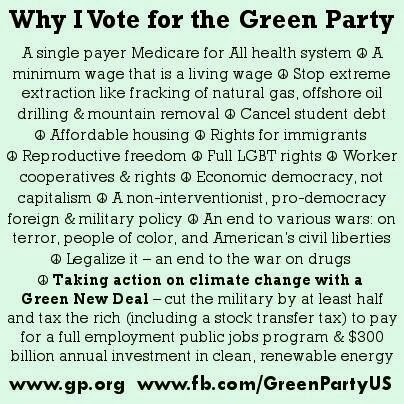 The Georgia Green Party will convene its Nominating Convention on Saturday June 2nd, 2012, from 10am till 4pm at the Tucker-Reid H. Cofer Public Library; 5234 LaVista Road; Tucker, GA 30084. This Convention is expected to consider endorsing former state party cochair Denice Traina in her bid for election to the nonpartisan Augusta-Richmond County commission. In addition, the Party anticipates considering the nominations of both Ms. McKinney in her bid for Georgia's Fourth Congressional District and Kwabena Nkromo who has announced his intention to seek the Party's nomination for the State Assembly in District #57. In addition to securing the support of Delegates to the June 2nd Convention, in order to appear as Greens on the Georgia ballot, these partisan candidates are also required to file petitions with signatures representing 5% of the number of voters who are registered and eligible to vote in November's General Election. This ballot access standard is ten times the national average and according to Richard Winger, editor of Ballot Access News, constitutes the highest barrier to participation in the world, when comparing all countries which conduct contested elections. The filing deadline is in 76 days. "We will not succeed in placing Green candidates on the Georgia ballot without the participation of citizens willing to carry our ballot access petitions," said Al Herman, Secretary-Treasurer of the Georgia Party. "We face an near-impossible barrier and a short timeline. We're inviting Greens and others from around the nation to come to Georgia to help us surmount these barriers. We're asking Greens in Georgia to open their homes to host our out-of-state volunteers." 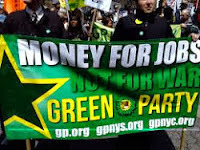 The Georgia Green Party has organized since before its first filing with the Secretary of State in 1996. 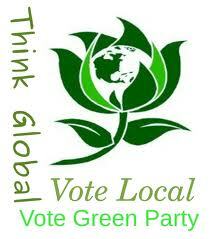 The Party organizes to inject Green values of peace and non-violence, social justice, grassroots democracy and ecological wisdom into the public policy making process.